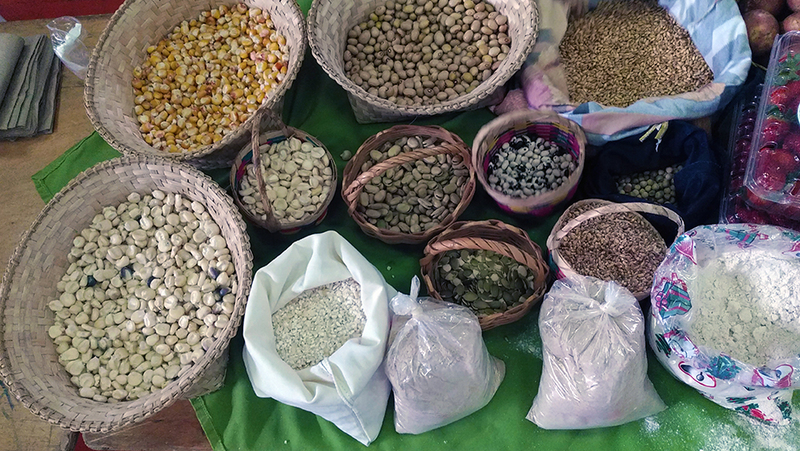 Agroecology may seem new to the modern world, but in fact it has been practiced for generations by the indigenous peoples and small-scale farmers of Mesoamerica, the Andes, and the humid tropics of Latin America. Agroecology, simply put, is the marriage of ecology and agriculture—farming that uses nature’s resources in a sustainable way to produce healthy food and a healthy society. 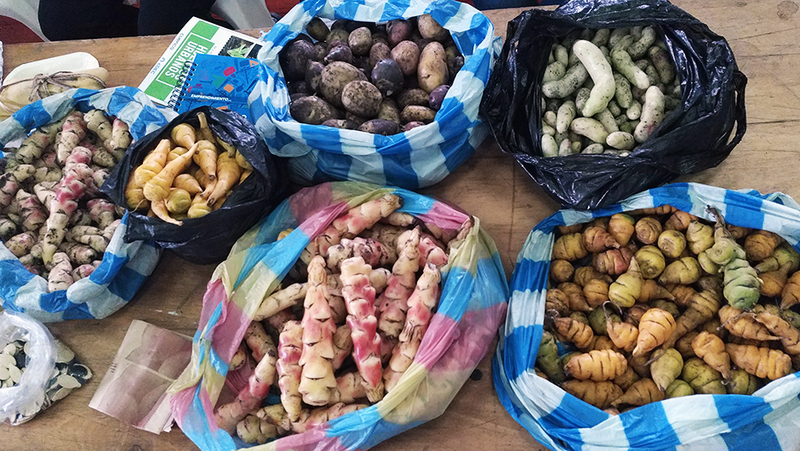 Sample of traditional products cultivated in Ecuador. The conference brought together some 900 participants ranging from renowned scientists to central and local government officials, representatives of nongovernmental organizations and universities, and, most importantly, farmers like Mr. León, who was one of an estimated one hundred small-scale farmer/producers in attendance representing organizations partnering or associated with the Inter-American Foundation. Understand the strategic dimension of agroecology in the urgent construction of food sovereignty. IAF’s support of agroecology and related projects in the region directly speaks to these needs. For example, the Federación de Organizaciones Campesinas del Litoral (FECAOL), and the organizer of the conference, facilitates a seed exchange program in which farmers can share and plant ancestral seeds. 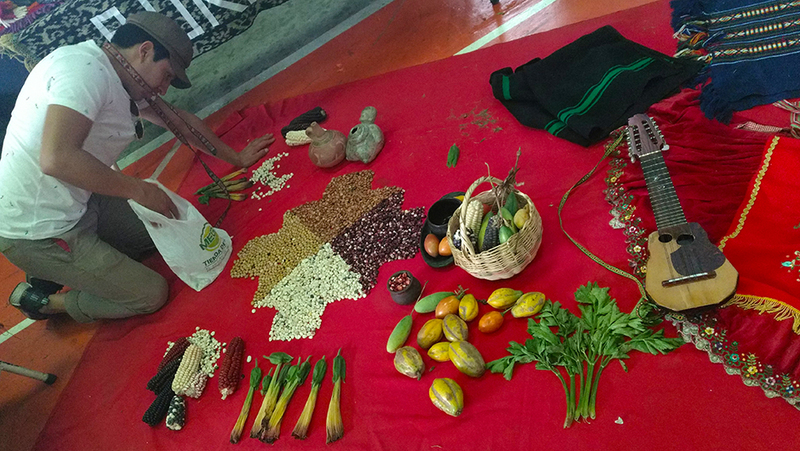 Asociación Nacional para el Fomento de la Agricultura Ecológica (ANAFAE) promotes communication and knowledge exchange among agroecological organizations in Honduras. 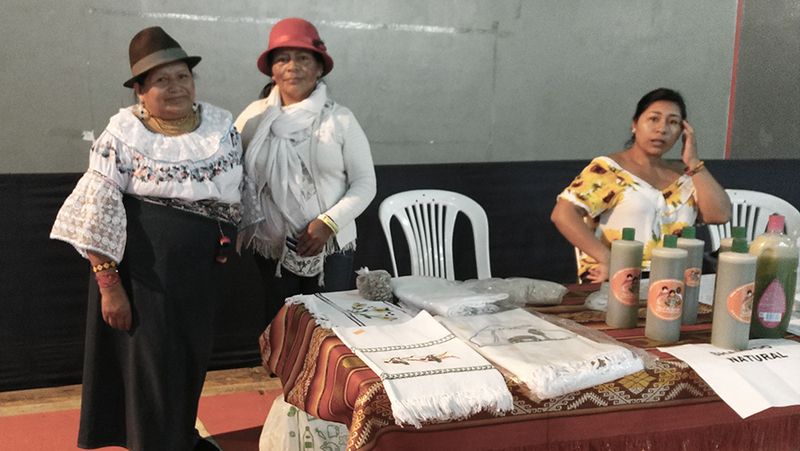 And the Movimiento de Economía Social y Solidaria del Ecuador (MESSE) promotes intergenerational, multi-ethnic, and women-led projects and learning events in northern Ecuador. Ancestral seeds exchanged during the conference. One of the conference speakers, Miguel Altieri, a Chilean-born agronomist and entomologist and Professor of Agroecology at the University of California, Berkeley, noted that the foundations of modern agroecology in Latin America started in the decades of the 1970s and 1980s, drawing on the knowledge and practices used by indigenous peoples and small-scale farmers of the region. Conference president and project coordinator of FECAOL, Richard Intriago, explained that since then, agroecological training directed toward small-scale farmers has helped leaders of those communities sustain agroecology in the region. The importance of that was highlighted by presenter Eric Holt-Giménez, who noted that in spite of farming less than 30 percent of available agricultural land worldwide, and even without modern irrigation techniques, small-scale farmers provide 70 percent of the world’s food. The conference also addressed the perspective of gender within the practice of agroecology in a workshop entitled “Recuperation of the Diversity of Local Seeds and Their Cultural Environment in Rural Communities to Promote Sustainability in Latin America.” The workshop highlighted the importance of women as the guardians of seeds in farming communities, and by extension the need to protect ancestral seeds to promote sustainable agriculture. The conference, which was entitled “Agroecology: Science, Practice, and Movement to Achieve Food Sovereignty,” was presented by the Latin American Scientific Association of Agroecology (Sociedad Científica Latinoamericana de Agroecología – SOCLA). Members of MESSE offered their crafts and natural products at the conference.